Just a wee plug for Nodrog and I's website, which this very day has been updated to include a rather nice batch of colour archive shots of demolished Glasgow cinemas, mostly dating from around 1980. As well as being good records of the cinemas themselves, the background of sooty tenements and 70s automobiles is often just as entertaining, I find! Highlights include the Regal in Renfield St, The Astoria in Possil, The Metropole in St George's X, the Partick Picture House and many, many others! Look out soon for shots from the same source of cinemas that still exist, taken around about 1980 also. In one of the cinema circuit histories (that for the Gaumont circuit, I think), the author notes as an aside at one point that there is thesis just waiting to be written on the disproportionate number of Scottish cinemas lost to fire! Same could be said of the country's theatres too, I guess! gap74 wrote: the disproportionate number of Scottish cinemas lost to fire! Same could be said of the country's theatres too, I guess! Excellent site guys. I'll need to run through it with my parents who have an amazing memory of these cinemas, particularly in the south of the city. If you need any info on any of them in the centre or south let me know. My dad was going into these places in the 1920's! Meanwhile, I see the site covers theatres too, you ever come across anything on the Glasgow Hippodrome as featured on this Gallowgate gable at the turn of the century? 2) Arthur Hubner's Hippodrome of the same year, housed in a conversion of a building which opened as a diorama in 1882, and was converted to ice-skating in 1885. The latter building was taken over from Arthur Hubner by a Mr Hengler in 1904, Hengler having already run a famous circus in Wellington St until the lease expired in 1900. The building was very well appointed, and the main circular ring in front of the stage could be flooded with 100,000 gallons of water for spectacular water shows. It is also contentiously rumoured that this structure played host to Glasgow's first film screening, and films were presented reguarly, eventually becoming the main entertainment presented in the building under Hengler. The final circus season was in 1924. After as short period as a dance hall, the whole building was rebuilt in 1929 to become the Regal Cinema, later the ABC Sauchiehall St. I've a drawing of the interior of the auditorium as the Hippodrome/Hengler's Circus, and an etching of the exterior from that same time which I'll scan later. 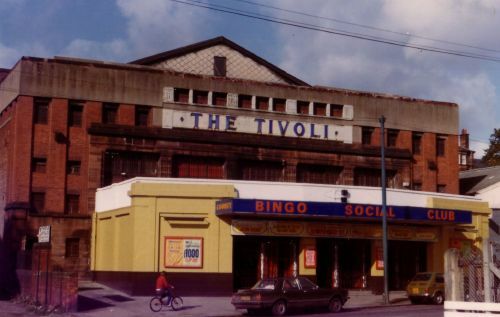 Does anybody remember the Tivoli in Crow road. It was at the bottom. Loved that place on a saturday morning they had a club in it and at the interval go-go dancers used to come on. Ah, we have the Tivoli right here, couple of exterior pics from 80s and 90s and a 1930 programme. Does anyone remember the name of the cinema in Paisley Road West near the end of Mosspark Boulevard? Oh and by the way... if you're bored you can read ma blog at http://journals.aol.co.uk/mosmoans/moans .... sorry for the blatant advertising... but its yon time on a Saturday night... hic! "and the Scott St elevation of the building still has some ornate arched brickwork"
Just a wee note folks to say that our Nodrog has been working his little socks off, and thanks to a recent donation of archive slides, we have now added further galleries of cinemas being demolished. There's the Victory in Whiteinch, a fantastic looking, fairly early cinema (1913), whose demolition in the early 80s was surely a crime! And finally, the piece de resistance, a fairly comprehensive demolition gallery of Green's Playhouse/Apollo, which not only show the cinema in good detail, but also some attached old shop fronts and the gap sites that were to become the adjacent Concert Hall and the Holiday Inn. Oh, and some buses too! Last edited by gap74 on Sat Jan 14, 2006 9:23 pm, edited 1 time in total. gap74 wrote: There's the Victory in Whiteinch, a fantastic looking, fairly early cinema (1913), whose demolition in the early 80s was surely a crime! Perhaps it was as it was the victim of a fire. It was being used as a carpet warehouse. For some time after the demolition we were treated to a view of hidden whiteinch including the Stella Maris sailor's canteen. Then they replaced the cinma with the current carpet warehouse shed. What a great site. The info on the old cinemas is great. I live near the "Vogue" bingo, Carntyne (it'll always be known as that) and it a really nice building. Been inside a couple of times. 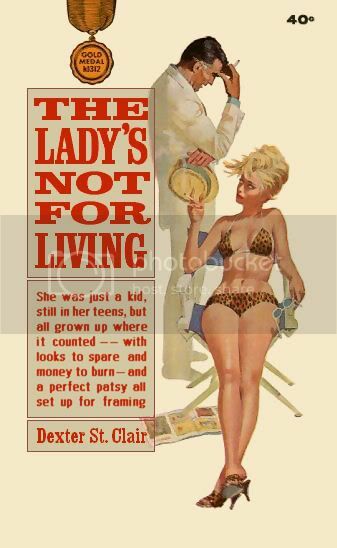 That basement is a treasure trove. If it's not listed, it should be to prevent it being torn to bits by property developers. Also, I didn't realise there had been a cinema on Alexandra Parade. I lived directly across the road for a while and had no idea. Such a fabulous and informative site that Keep up the great work! Where was the one at Eglinton Toll? I see there was a bus stop beside it..it's not the one beside the Star Bar is it? (Btw the url for it is wrong, it should be .html). Edit: I see it's on Victoria Road. Another pic here (pre demolition).